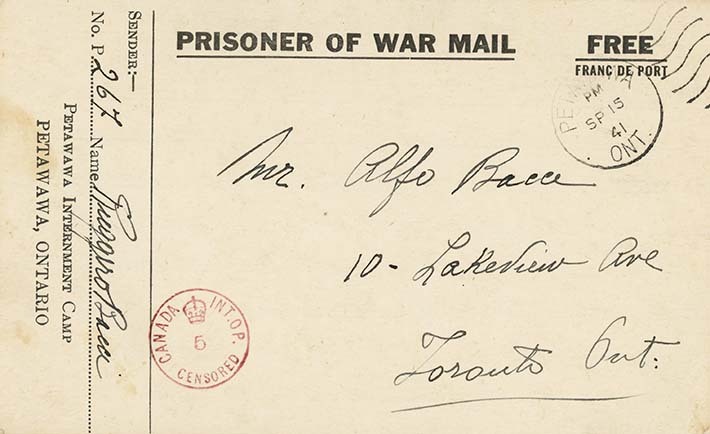 Internee Bacci writes to his youngest son, Alfo, that he is pleased to hear that he has returned to school and wants to be kept informed of his progress. He advises Alfo to consider who are his "true friends", and to protect himself from "false ones". Bacci claims to have suffered -- presumably at the hands of pretenders -- who have profitted.